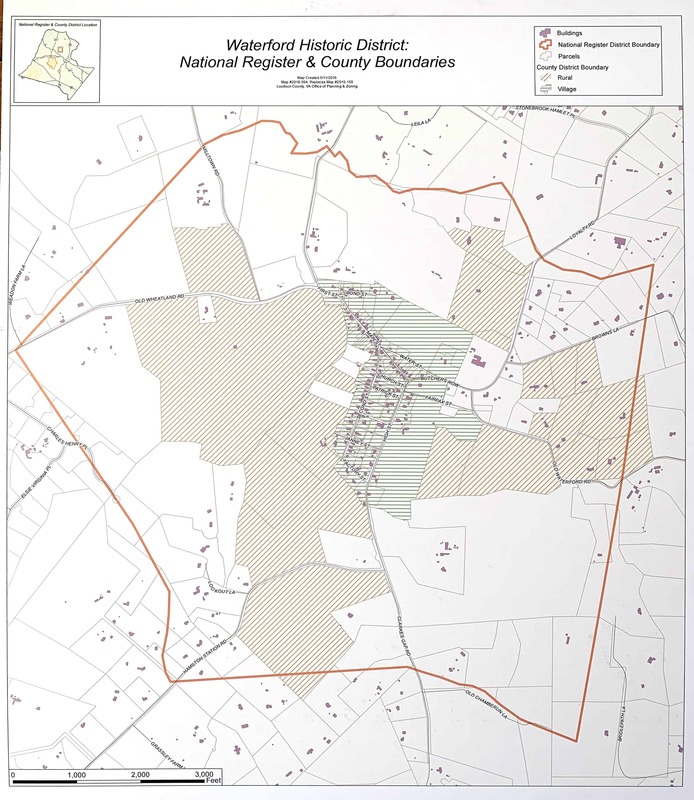 In April, 1970, the Secretary of the Interior determined that the Waterford Historic District possessed national significance and he designated the Waterford Historic District (View map) a National Historic Landmark. This is the highest designation of historic significance possible in the United States of America. 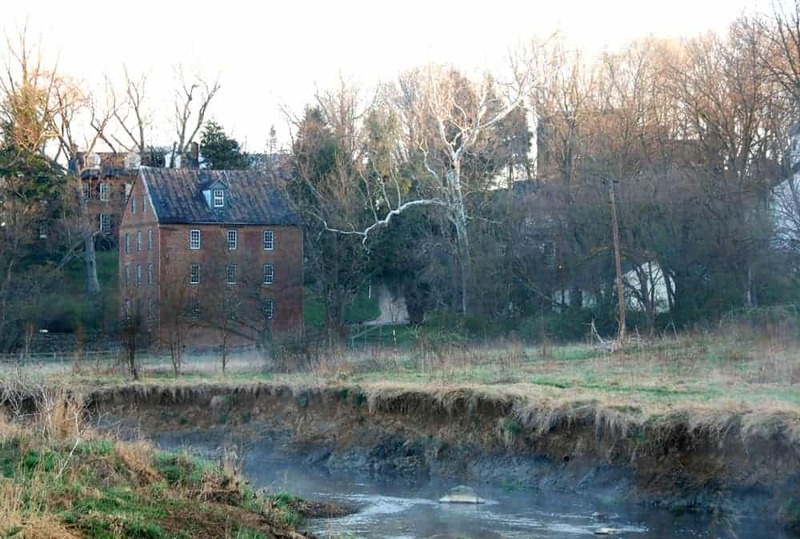 Known as Janney's Mill until the 1780s, the early commercial center then became the village of Waterford. See below on how Wateford got its name. Waterford's stagnation as a commercial center after the Civil War meant it was not worth demolishing the old to make way for new development. The old town and its surrounding farms were able to slumber undisturbed, like Rip Van Winkle, for many years, By 1937, when the Historic American Buildings Survey was completed in Waterford, most buildings in the village were falling into disrepair. That same decade, members of old Waterford families, beginning with brothers Edward and Leroy Chamberlin, began buying and restoring buildings. These restorationists established the Waterford Foundation in 1943 to "revive and stimulate a community interest in re-creating the town of Waterford as it existed in previous times with its varying crafts and activities. Another 1943 milestone was the creation of the Waterford Fair by the Waterford Foundation. This annual event now draws some 10,000 visitors the first weekend every October.